The White House is considering an Energy Department proposal to buy electricity from unidentified U.S. coal and nuclear power plants to prevent their "premature" retirement. The justification: heightened threats of cyberattacks and natural disasters. The National Security Council is meeting today to discuss coal and nuclear retirements and possibly a plan, obtained by E&E News, that calls for creating a "strategic electric generation reserve," a federal intervention in energy markets that would rival the creation of the Strategic Petroleum Reserve created by Congress in 1973 after the oil shocks of the 1970s. White House spokeswoman Sarah Huckabee Sanders said in a statement that President Trump has directed Energy Secretary Rick Perry to prepare "immediate steps" to halt the loss of "fuel-secure power facilities," and the president is looking forward to his recommendations. "Unfortunately, impending retirements of fuel-secure power facilities are leading to a rapid depletion of a critical part of our nation's energy mix, and impacting the resilience of our power grid," Sanders said. Under the DOE draft plan, grid operators and integrated utilities would be required to purchase or make arrangements to purchase quantities of electricity from a DOE list of financially threatened power plants, preventing them from being "prematurely" closed on economic grounds. The document, stamped "Privileged & Confidential, Attorney-Client Privilege," does not estimate the cost of the purchases. The 41-page DOE proposal first reported by Bloomberg is certain to come under fire from the U.S. natural gas industry, free-market Republicans and critics who say it comes in response to an order Trump gave to Perry to rescue several FirstEnergy Corp. nuclear plants and Murray Energy Corp. The plan hinges on DOE exercising emergency authority under a pair of federal laws — the Defense Production Act of 1950 and Federal Power Act — to direct grid operators to buy or arrange the purchase of power from a specific list of "subject generation facilities" over the next 24 months. Some of those facilities would also be directed to continue generating and delivering electricity according to their existing or recent contracts with utilities. At the same time, the administration would continue to analyze the "resilience" needs of the grid, including specific actions to support "defense critical energy infrastructure in the event of attack." The DOE memo does not explain when such a list of utilities would be finalized. Sources familiar with the DOE memo said it's moving through various levels of the National Security Council with no firm timeline for being finalized. It's also unclear when or if President Trump will approve the document, which is marked as a "draft" and dated May 29. Although DOE did not respond to a request for comment, a senior official with the agency confirmed last month the statutes were under consideration and that no specific strategy had been nailed down. The plan is a response by DOE leaders to Perry's grid resilience initiative dating back to last year. The initial DOE proposal to support coal and nuclear was rejected by the Federal Energy Regulatory Commission. Critics from across the energy sector immediately blasted the plan as a threat to existing power markets. "Not even the president can unilaterally rewrite the Federal Power Act so anything that seeks to override [the Federal Energy Regulatory Commission's] role and tariffs on how plants are dispatched and paid would be challenged on that basis, among others," said John Shelk, president and CEO of the Electric Power Supply Association, which represents independent power generators. And Congress might have a role to play, he said, noting that lawmakers established the Strategic Petroleum Reserve. While experts agree that cyberthreats against critical energy infrastructure assets are increasing, the proposal does not explain how shoring up particular money-losing coal or nuclear plants would address these risks and instead speaks of a general need to keep more of these "baseload" plants in operation. The concern is generally stated in the plan, "Too many of these fuel-secure plants have retired prematurely and many more have recently announced retirement ... ." But DOE grounds its justification for a sweeping federal intervention in energy markets on the need to protect particular defense installations in the U.S. — and specific substations or junction points in the nation's high-voltage network — with orders to utilities and regional grid organizations to purchase power over the next two years from a forthcoming DOE list of power plants that provide critical support for these assets. While payments would presumably begin soon, the plan also says it will take up to two years to identify which power plants are critical. At another point, the DOE plan warns of the consequences of closing "too many" nuclear plants. "Without a strong domestic nuclear power industry, the U.S. will not only lose the energy security and grid resilience benefits, but will also lose its workforce technical expertise, supply chain, and position of clean energy leadership." But the plan doesn't provide analysis of whether the expected nuclear plant retirements over the decade would be so great as to undermine "a strong domestic nuclear power industry," when the vast majority of nuclear plant operators are seeking to extend operations for several decades more. The memo also warns of catastrophic impacts from "multi-point attacks" on the power grid, including new dangers posed by hackers. "The evolving risk associated with mitigating cyber and physical security challenges is one of the most pressing issues for the [energy] sector," the document claims, later highlighting that "natural gas pipelines are increasingly vulnerable to cyber- and physical attacks." Security experts have long warned of cyber vulnerabilities in the nation's crisscrossing web of natural gas pipelines, while U.S. law enforcement authorities have documented espionage from hackers backed by the Russian and Chinese governments (Energywire, May 23, 2017). Yet cybersecurity challenges are not limited to the natural gas industry, as the memo acknowledges. "Natural gas, petroleum, and coal are all, to varying degrees, dependent upon supply chain interfaces that are each exposed to cyber and physical threat," it says. 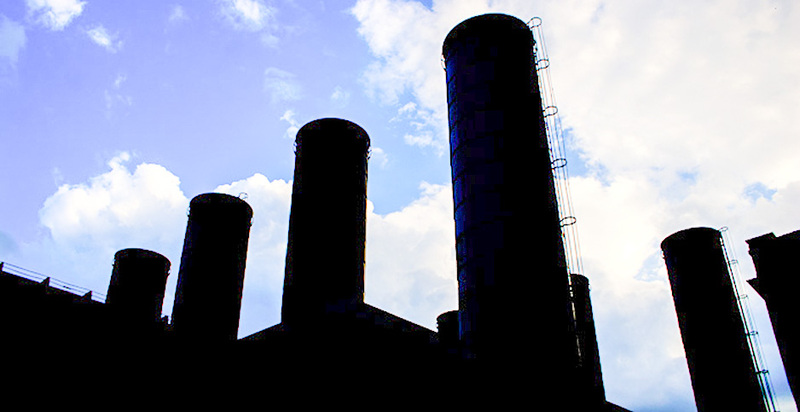 DOE records show coal-fired power plants have committed cybersecurity oversights (Energywire, Aug. 13, 2015). Russian hackers are also believed to have penetrated the corporate networks of nuclear power plant operators in a series of incidents last year, though safety systems were not affected. The DOE document credits "cyber-hardening measures" at nuclear facilities that leave them better positioned to thwart a major attack. But industrial cybersecurity experts have typically shied away from making sweeping claims about the security of one energy mode or another. Whether coal, nuclear, renewable or gas, "all of them could be equally susceptible to cyber issues," noted Marty Edwards, managing director of the Automation Federation and former chief of the Department of Homeland Security's control system security division. "It would be highly installation dependent." In an interview last week, FERC Commissioner Richard Glick called for heightened scrutiny of gas pipeline cybersecurity practices, given the lack of binding cyber standards in that industry vis-à-vis nuclear plants or other large power generation facilities (Energywire, May 29). But he also emphasized that his goal was to ensure adequate security measures are in place across the hundreds of thousands of miles of gas transmission lines — not to use security grounds to tip the scales in favor of one source of power generation or another. "I haven't seen anything to suggest that somehow if we had more coal plants operating or something like that, that it would solve our problems," Glick said. While news of the memo thrilled coal boosters, electricity experts and grid operators were left baffled. The American Coalition for Clean Coal Electricity and the National Mining Association welcomed the news and said almost 40 percent of the nation's coal fleet has shut down or is expected to close. A spokeswoman for NMA said 12,000 megawatts of coal-fired power is expected to retire this year. Democratic Sen. Joe Manchin of West Virginia today thanked the administration for considering the use of the Defense Production Act, which the senator floated in April as a lifeline for struggling coal plants. But critics questioned the cost, legality and necessity of such a move. A coalition of almost a dozen energy groups from across a broad spectrum — oil and gas, wind and solar, and energy storage — issued a joint statement blasting the proposal as unprecedented and misguided "crony capitalism" when no emergency exists. The groups, including the America Petroleum Institute, American Council on Renewable Energy, American Wind Energy Association, Natural Gas Supply Association and Solar Energy Industries Association, said processes are already in place to safeguard the grid. "The Administration's plan to federalize the electric power system is an exercise in crony capitalism taken solely for the benefit of a bankrupt power plant owner and its coal supplier," said Malcolm Woolf, the Advanced Energy Economy's senior vice president of policy. "It would be a command-and-control mechanism that fundamentally disrupts and undermines the competitive electricity markets that have improved our electricity system's reliability, resilience, and affordability, while fostering innovation." Joel Eisen, an energy law professor at the University of Richmond, said that combining the two authorities — both of which have been contemplated by the administration for months — does not bolster its legal argument. "Simply combining two statutory authorities to reach a result doesn't make the logic of any one stronger than it was before, and it doesn't make the logic of the combination any stronger," he said. "If both of them are bad matches to the current situation, simply putting them together and saying they both justify this result is not an improvement." The Defense Production Act is written to allow the president to force contractual commitments to be honored but is silent on the complicated question of altering the wholesale markets in which generation companies operate, according to Eisen. "It's completely unclear how a directive to keep specific plants operating would work with a market that sets day-to-day energy prices," he said. And the Federal Power Act is "completely inapplicable," Eisen said. "There is no emergency on the grid of the kind of nature that has been used before in these situations," he said. A spokesperson for the PJM Interconnection, the largest grid operator in the country, said they have not received any official DOE document. "Our analysis of the recently announced planned deactivations of certain nuclear plants has determined that there is no immediate threat to system reliability," the spokesperson said. "Markets have helped to establish a reliable grid with historically low prices." "Any federal intervention in the market to order customers to buy electricity from specific power plants would be damaging to the markets and therefore costly to consumers," they added. Reporters Blake Sobczak, Rod Kuckro, Sam Mintz and Zack Colman contributed.